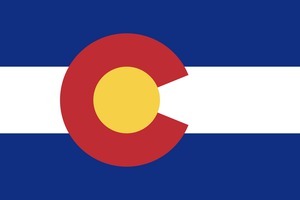 Coloradoite: Mineral information, data and localities. Named in 1877 by Frederick Genth for the type localities which are in Colorado. Gold 46 photos of Coloradoite associated with Gold on mindat.org. Sylvanite 43 photos of Coloradoite associated with Sylvanite on mindat.org. Quartz 42 photos of Coloradoite associated with Quartz on mindat.org. Hessite 42 photos of Coloradoite associated with Hessite on mindat.org. Altaite 15 photos of Coloradoite associated with Altaite on mindat.org. Pyrite 14 photos of Coloradoite associated with Pyrite on mindat.org. Petzite 7 photos of Coloradoite associated with Petzite on mindat.org. Tellurium 7 photos of Coloradoite associated with Tellurium on mindat.org. Calcite 5 photos of Coloradoite associated with Calcite on mindat.org. Calaverite 3 photos of Coloradoite associated with Calaverite on mindat.org. Genth, F.A. (1877) Stated meeting, October 20th, 1876. Proceedings of the American Philosophical Society: 16: 287-289. Genth, F.A. (1878) On some tellurium and vanadium minerals. Proceedings of the American Philosophical Society: 17: 113-123.
deJong, W.F. (1926) Die Struktur des Tiemannit und Koloradoit. Zeitschrift für Kristallographie: 63: 466-472. Le Maitre (ed.) (2002) Igneous Rocks - A Classification and Glossary of Terms. Cambridge Press. The following Coloradoite specimens are currently listed for sale on minfind.com. Brickell, A. (1980). 1979 Summary Report on Joint Venture Areas in the South Alligator River Valley Northern Territory Australia. ; Leckie, J. F. (1987). Diamond Drilling at Palette, Northern Territory, June 1987. J. TAUCHER & W. H. PAAR (1993): 917. Bornit, Chalkosin, Coloradoit, Covellin und Malachit aus Quarzgängen sowie Hämatit, Epidot und Titanit aus Zerrklüften von der Ritterkopf-NO-Wand, Rauriser Tal, Salzburg. 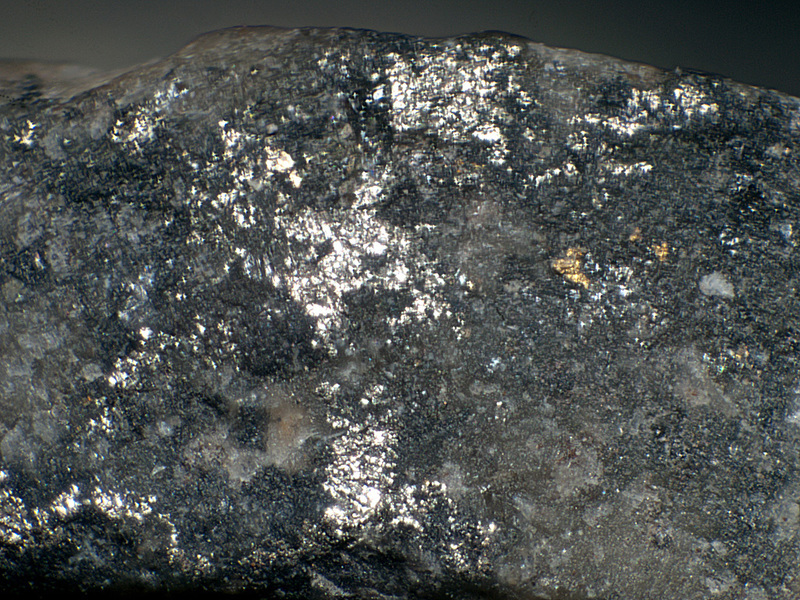 P. 278 in NIEDERMAYR, G., F. BRANDSTÄTTER, B. MOSER, W. H. PAAR, W. POSTL, J. TAUCHER & H.-P. BOJAR (1993): Neue Mineralfunde aus Österreich XIIL. Carinthia II, 183./103. : 265-290. Kolitsch, U. (2014): 1858) Baryt, Chalkanthit, Chalkopyrit, Chamosit, Cobaltit, Coloradoit, Covellin, Gips, Hessit, Jarosit, Kalifeldspat, Limonit, Markasit(? ), Muskovit, Natrojarosit, Pyrit, Pyrrhotin, Indium-reicher Sphalerit, gediegenes Tellur, Titanit, Quarz und Zirkon von einem alten Bergbau am Nordhang des Valschavielkopfs bzw. Eisernen Tors, Alpe Fresch, Silbertal, Montafon, Vorarlberg. Pp. 96-99 in Niedermayr, G. et al. (2014): Neue Mineralfunde aus Österreich LXIII. Carinthia II, 204./124., 65-146. Blann, D., and Ridley, D. (2006): Geology and Prospecting Report on the Hawk Property, Clinton Mining Division. Standard Metals Exploration Ltd., Squamish, BC, 20 pp. ⓘ Hedley Monarch Mine ? Schandl, E. S. (2004). The role of saline fluids base-metal and gold mineralization at the Cobalt Hill prospect northeast of the sudbury igneous complex, Ontario: A fluid-inclusion and mineralogical study. The Canadian Mineralogist, 42(5), 1541-1562. Geological Survey of Canada Paper 73-30; Ann P.Sabina (2003), Rocks and Minerals for the Collector, Kirkland Lake-Rouyn-Noranda-Val-d’Or, Ontario and Quebec. GSC Misc. Report 77, p.28; Hicks, K. D. (1990). Magmatic-hydrothermal and wall rock alteration at the Lake Shore gold deposit, Kirkland Lake, Ontario. University of Ottawa (Canada). MS Thesis University of Ottawa. Qiu Jiansheng, Wang Dezi, Ren Qijiang, and McInnes, B.I.A. (1999): Journal of China University of Geosciences 10(1). Dini, A. 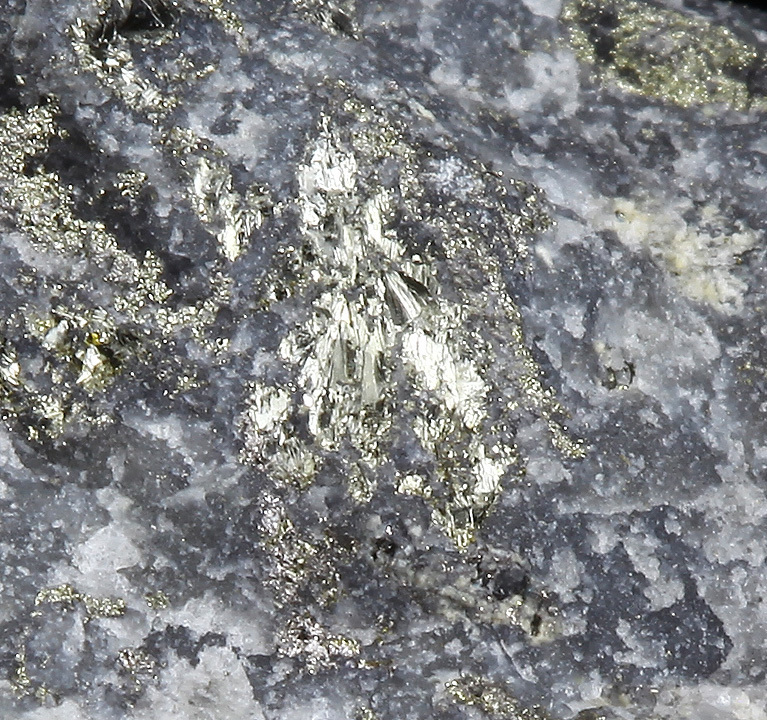 & Orlandi, P. (1995) Coloradoite (HgTe), from Buca della Vena mine, Apuan Alps, Tuscany, Italy. Atti della Società Toscana di Scienze Naturali, Memorie, 102, 47-50. Săbău, G., Berbeleac, I., Negulescu, E., & Costin, G. (2014). Uncommon telluride compositions from Musariu, Apuseni Mts., Romania. In 21st General IMA Meeting, abstract (Vol. 330). L. Bindi & C. Cipriani (2004) Eur. J. Mineral. 16, 835-838; Cook, N. J., Ciobanu, C. L., Capraru, N., Damian, G., & Cristea, P. (2005). Mineral assemblages from the vein salband at Sacarimb, Golden Quadrilateral, Romania: II. Tellurides. Geokhimiia, Mineralogiia i Petrologiia, 43, 56-63. G. Cioflica, R. Jude, M. Lupulescu, G. Simon, G. Damian (1993) The tellurides of the Romanian Neogene ore deposits - "Current Research in Geology Applied to Ore Deposits" Eds: Fenoll Hach-Ali, Torres-Ruiz & Gervilla, Granada, Spain, pp 73-76. Prokofiev, V. Yu., Nikolaev, Y. N., Apletalin, A. V., Baksheev, I. A., Vlasov, E. A. and Kal'ko, I. A. (2014), Au-Te Mineralisation of Sentyabr'sky Gold Deposit, Northeastern Russia. Acta Geologica Sinica, 88: 795–797. ; Nikolaev, Y. N., Prokof’ev, V. Y., Apletalin, A. V., Vlasov, E. A., Baksheev, I. A., Kal’ko, I. A., & Komarova, Y. S. (2013). Gold-telluride mineralization of the Western Chukchi Peninsula, Russia: mineralogy, geochemistry, and formation conditions. Geology of Ore Deposits, 55(2), 96-124. Mills, S. J., Kampf, A. R., Kolitsch, U., Housley, R. M. & Raudsepp, M. (2010) The crystal chemistry and crystal structure of kuksite, Pb3Zn3Te6+P2O14, and a note on the crystal structure of yafsoanite, (Ca,Pb)3Zn(TeO6)2. American Mineralogist, 95(7), 933–938. Leontev, V. I., & Chernigovtsev, K. (2018). Ore Mineralization of the Epithermal Samolazovskoe Gold-Ore Deposit, Aldan Shield (Russia). In Key Engineering Materials (Vol. 769, pp. 213-219). Trans Tech Publications. Vikent'eva, O., & Vikentev, I. (2016, April). Occurrence modes of As, Sb, Te, Bi, Ag in sulfide assemblages of gold deposits of the Urals. In IOP Conference Series: Materials Science and Engineering (Vol. 123, No. 1, p. 012028). IOP Publishing. ; Lehmann, B., Heinhorst, J., Hein, U., Neumann, M., Weisser, J. D., & Fedesejev, V. (1999). The Bereznjakovskoje gold trend, southern Urals, Russia. Mineralium Deposita, 34(3), 241-249. Vikent'eva, O., & Vikentev, I. (2016, April). Occurrence modes of As, Sb, Te, Bi, Ag in sulfide assemblages of gold deposits of the Urals. In IOP Conference Series: Materials Science and Engineering (Vol. 123, No. 1, p. 012028). IOP Publishing. ; Vikentyev, I. V., & Vikentyeva, O. V. (2015). 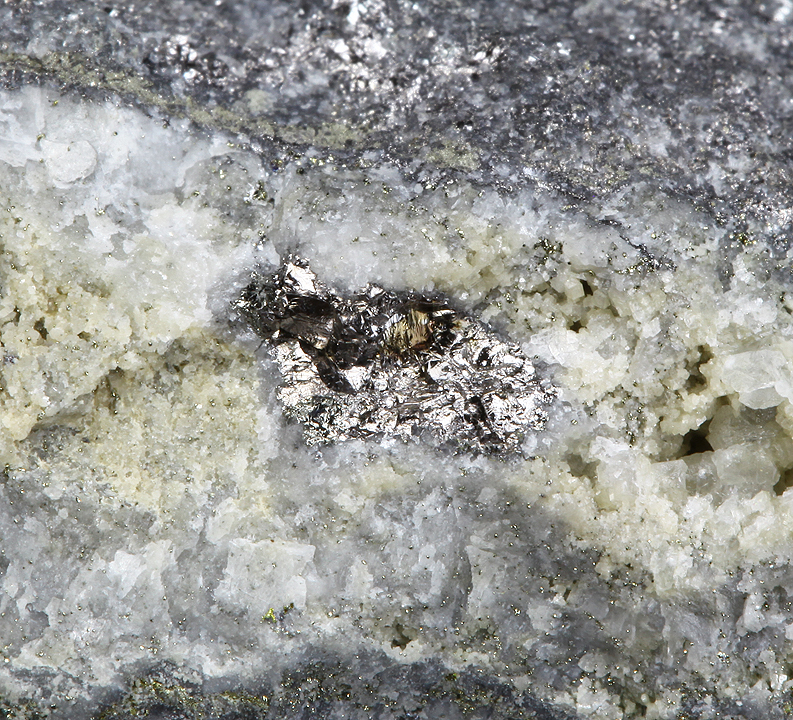 Precious metal minerals and “invisible” gold in sulfide ores of Urals. In Mater. of ХII Int. Sci. Conf.“Advanced Technologies, Equipment and Analytical Systems for Materials and Nano-Materials (Vol. 3, pp. 33-41). ; Murzin, V. V., & Sazonov, V. N. (1999). Gold-Bearing Mineral Assemblages in the Copper and Iron Skarn Deposits of the Tur'insk-Auerbakhovsk Ore Field and Their Formation Condition (the Urals, Russia). Geology of Ore Deposits C/C of Geologiia Rudnykh Mestorozhdenii, 41, 308-321. XRD and WDS analyses by Prof. Nestola (Padua, I), October 2013. As tiny inclusions in sinnerite (see also http://fglb.clubdesk.ch/clubdesk/www). Stalder, H. A., Wagner, A., Graeser, S. and Stuker, P. (1998): Mineralienlexikon der Schweiz. Wepf (Basel), p. 119. Pasi Eilu (2003) Exploration for orogenic gold deposits. Fennoscandian Exploration and Mining 2003 Rovaniemi, Finland December 2003; Rustam Koneev, Evgeniy Ignatikov, Arpay Turesebekov, Umid Aripov, Rustam Khalmatov, Obidjon Kodirov, Miraziz Usmanov (2005) Gold ore deposits of Uzbekistan: Geochemistry and nanomineralogy of tellurium and selenium. IGCP Project 486, 2005 Field Workshop, Kiten, Bulgaria, 14-19 September 2005; Plotinskaya, O. Y., Kovalenker, V. A., Seltmann, R., & Stanley, C. J. (2006). Te and Se mineralogy of the high-sulfidation Kochbulak and Kairagach epithermal gold telluride deposits (Kurama Ridge, Middle Tien Shan, Uzbekistan). Mineralogy and Petrology, 87(3-4), 187-207.; Kovalenker, V. A., Safonov, Y. G., Naumov, V. B., & Rusinov, V. L. (1997). The Epithermal Gold-Telluride Kochbulak Deposit. Geology of Ore Deposits C/C of Geologiia Rudnykh Mestorozhdenii, 39, 107-128. Knopf, Adolf (1929), The Mother Lode system of California: USGS Professional Paper 157, 88 pp. : 39; Pemberton, H. Earl (1983), Minerals of California; Van Nostrand Reinholt Press: 125. Dana, E.S. (1892) System of Mineralogy, 6th. Edition, New York; Appendix 2 (1909), by Dana, E.S. and W.E. Ford: 30; Hillebrand, William Francis (1900), Mineralogical notes: SS Bulletin 167: 62; Murdoch, Joseph & Robert W. Webb (1966), Minerals of California, Centennial Volume (1866-1966): California Division Mines & Geology Bulletin 189: 155, 219; Pemberton, H. Earl (1983), Minerals of California; Van Nostrand Reinholt Press: 109, 125. "Minerals of Colorado, updated & revised", p. 158, by Eckel, Edwin B., 1997; Dana 7:I:219. Rocks & Min.:64:500. ; Saunders, J. A. (1986). Petrology, mineralogy, and geochemistry of representative gold telluride ores from Colorado (Doctoral dissertation, Colorado School of Mines). Summerlin, E. (2014). PGE mineralization at the Allard stock: Implications for the porphyry to epithermal transition, La Plata Mountains, Colorado (Auburn University MS thesis). Minerals of Colorado. Eckel, et al.